Nov 12, 2017 in "The SpectacuLAB"
The SpectacuLAB is now open at Epcot's Innoventions East in Future World. You'll find The SpectacuLAB across from Colortopia, in the former Vision House exhibit. The interior has been completely remodeled into a theater-type setup, with seating for around 100 guests. Children are invited to sit on the floor in-front of the stage. 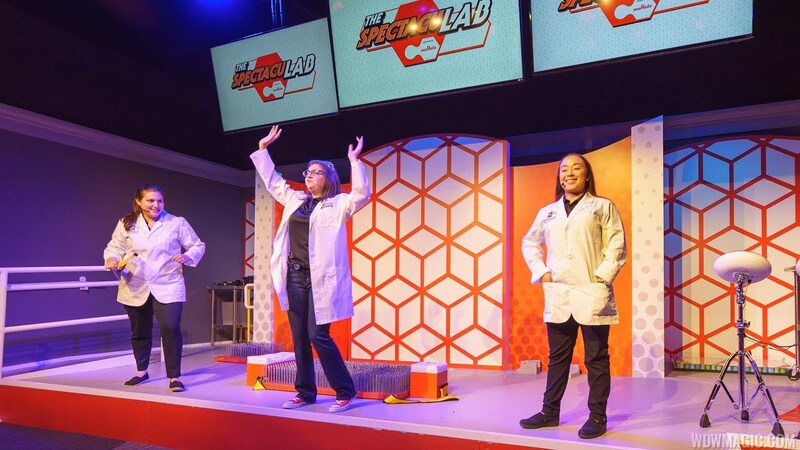 Presented by Murata, guests are invited to step inside and join a group of real scientists, along with their eager tech-savvy intern, for a series of engaging experiments demonstrating basic principles of science. Here is a look at the very first presentation of The SpectacuLAB from earlier this morning. The show is presented 5 times per day - check times guides for latest.